with eSignature and online payment. eSignature or credit card online payment. Negotiate directly on the quotation. 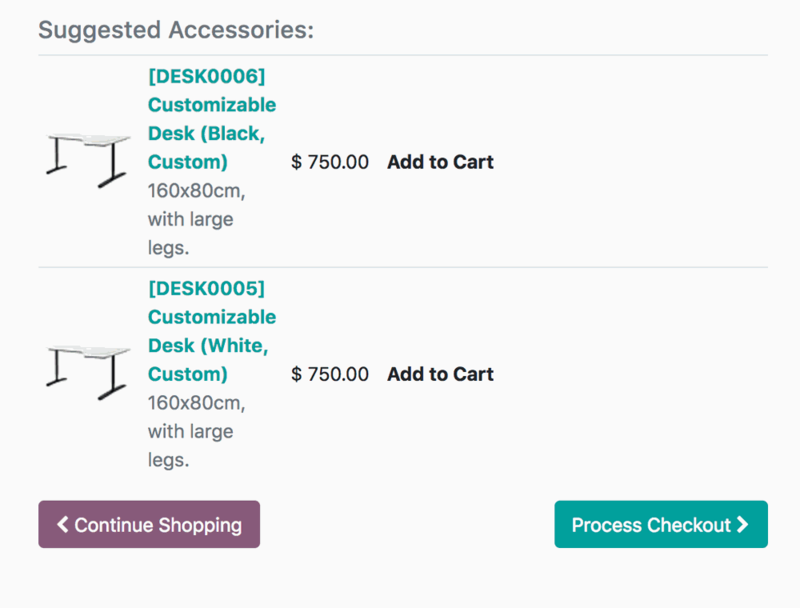 Upsell to boost your average revenue per order. "We love using the Sales app as it allows us to create professional quotations in just couple of minutes. We're saving time and our customers are happy with our fast services and response." 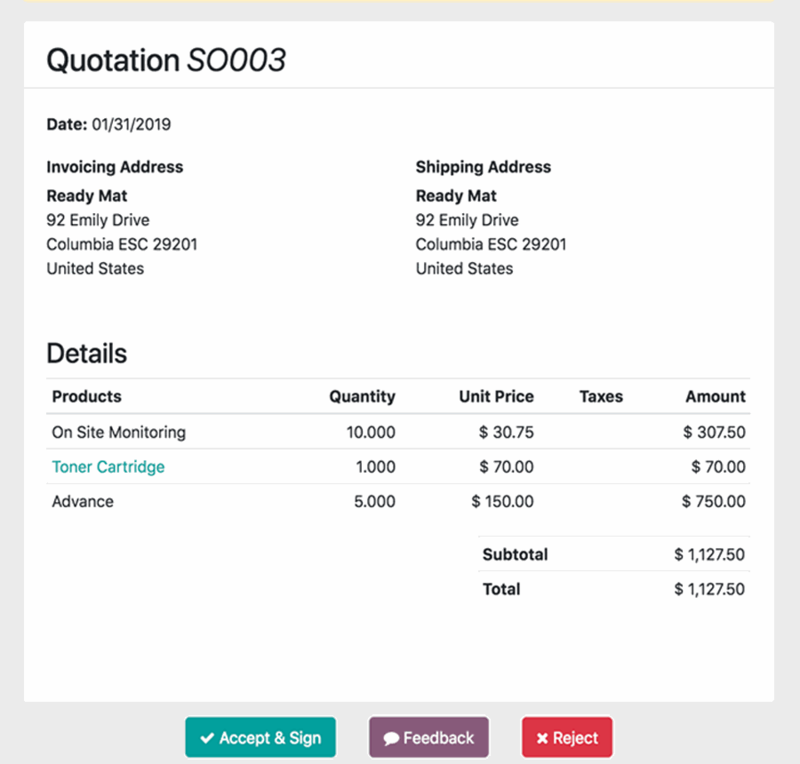 The customer portal gives your customers access to their quotations, sales orders, and delivery orders. 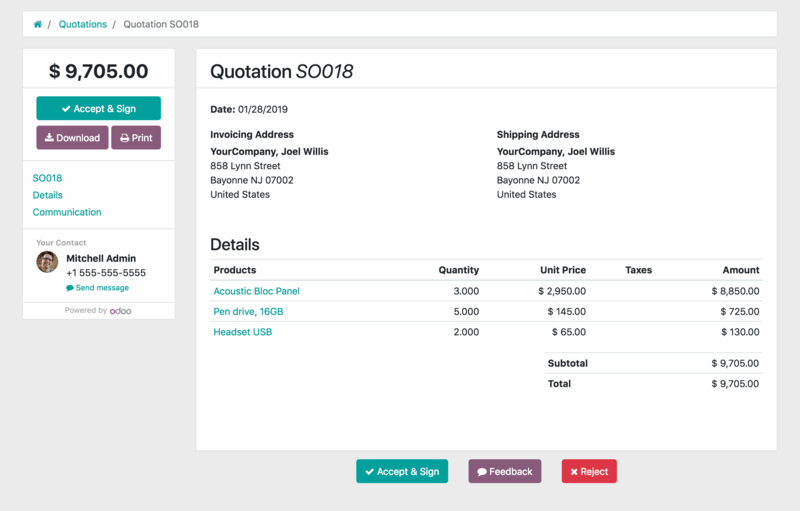 Save time and use Odoo Sign to easily get signatures on NDAs, contracts, or any PDF document.